I would like more information about 642 Oxford Ave, Venice, CA 90291 MLS #19449718. 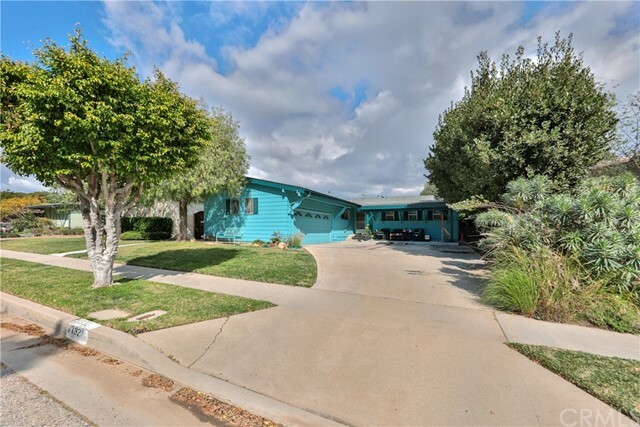 This lovely tri-level home is located a stone's throw away from the newly developed Oxford Basin, Venice/Marina bike path and is within walking distance to Venice Beach, Abbot Kinney Blvd, many fine Marina restaurants and is in the renowned Coeur D'Alene school district. The front entry opens into a spacious living room featuring a fireplace shared with the dining area. The kitchen opens up to the back patio for outdoor dining and entertaining. The unique kitchen cabinets are hand painted with birds and flora and the dining area has sunset murals on the ceiling. There is Ãƒâ€šÃ‚Â¾ bath and an office. The second floor features two bedrooms that share a full bath and an expansive master suite. The master bath includes a fireplace, soaking tub, separate shower, vanities, and a toilet room. The master suites Crown Jewel is the spacious, well-appointed dressing room with custom made cabinetry, a lovely chandelier and mirrors galore. The third level is a cozy room opening onto a roof-top deck. Directions: West of Abbot Kinney, North of Washington Blvd. The property on 642 Oxford Ave, Venice, CA 90291 is listed for $2,350,000 as MLS #19449718. This 3 bedroom, 3 bathroom 3,005 sqft Single Family Residence built in 2001 located in Venice, CA 90291. For more information regarding this or any other property in Venice, please contact us at (424) 272-1339.